gjl Initially system is at rest. If the mass at angle is released from rest then what will be the velocity of the other mass when the tilted mass passes through the dotted line. 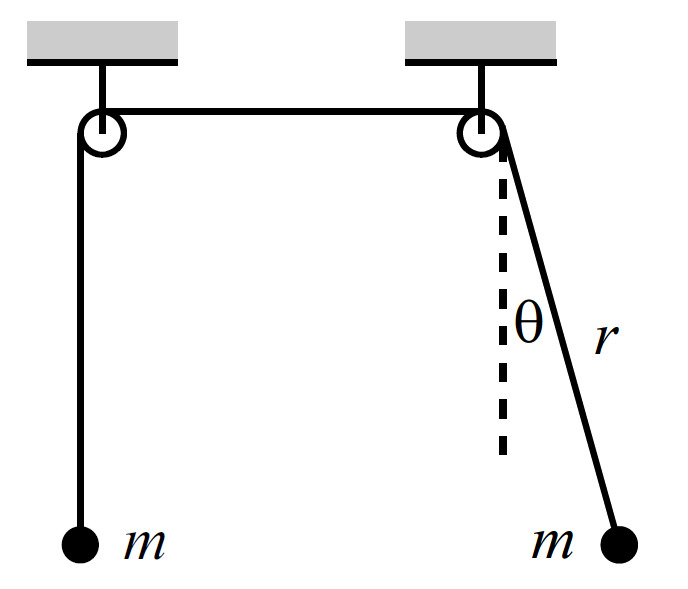 Assume string to be ideal. @Kushal Patankar "Pg. V-29, 2nd problem"?? @Nishant Rai – I mentioned the book in post script. Click the link you will get to that.